Mass of Christian Burial for Margaret Trosello will be held at 10:00 a.m., Saturday, January 5, 2019 at Corpus Christi Catholic Church in Newcastle, WY. Visitation will be held from 5:00 p.m. to 7:00 p.m., Friday, January 4, 2019 at Corpus Christi Catholic Church in Newcastle, WY. Rosary to begin at 7:00 p.m. Margaret Patricia "Pat" Trosello passed away at the Weston County Manor in Newcastle, Wyoming on December 30, 2018. "Pat" was born to Dominico and Giovanna Trosello on March 17, 1933. She was the youngest of three children born into the Trosello family. Her parents and brother, Mike, immigrated to the United States from Northern Italy. Her father, Dominic, worked in the coal mines at Cambria, Wyoming. Pat was born in Newcastle, as was her older sister, Elsa. She attended schools in Newcastle, graduating from High School in 1951. She attended the University of Wyoming in Laramie for one semester. Pat married Harold "Porky" Sewell on June 10, 1956. Two children were born to this union, Tammy in 1958 and Tim in 1961. The couple later divorced. In 1974 Pat worked at Newcastle Drug, where she had worked in high school. She was then hired by the City of Newcastle as a billing clerk, later promoted to City Clerk, a position she held until retirement. Pat learned to play the piano as a child. She continued playing throughout high school and into her adult life. Through the years she played for many weddings, often generations of the same families. Her music ministry included funerals, community events, school programs and she was a life-long organist at Corpus Christi Catholic Church. Her music was enjoyed by the residents of the Weston County Manor where she had resided for the past six years. She surprised us with playing Christmas music at the annual Christmas party a few weeks ago, which the residents and visitors fully enjoyed! Pat enjoyed baking and was well known for her special birthday cakes for family and friends. She also loved to cook. The coffee pot was always on and time spent visiting with friends was a favorite past-time. Pat delighted in the fact that she was full-blooded Italian, born on St. Patty's Day! A lot of laughter and fun was enjoyed with that. She was proceeded in death by her parents and brother, Mike. She is survived by her children, Tammy Clyde (Jim) of Wheatland, WY and Tim Sewell (Donna Sue) of rural Osage, WY; sister, Elsa Hayman; and numerous nieces and nephews. 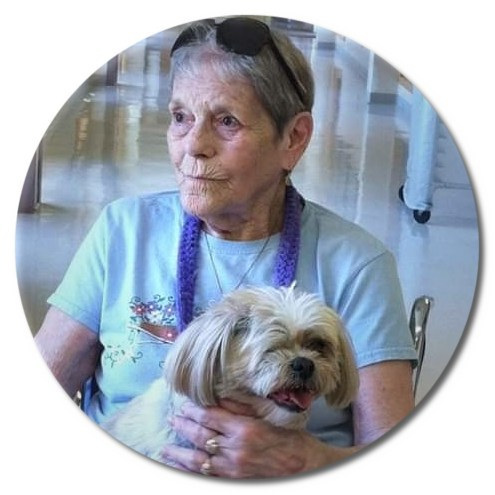 The family wishes to recognize the entire staff at Weston County Manor, both past and present, for the wonderful care she received over the past six years. A memorial has been established in Pat's memory at First State Bank in Newcastle for benefit of Weston County Manor.